This is the new Real Madrid Third Kit 10/11 that will be worn by Los Merengues in the UEFA Champions League. 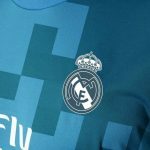 Real Madrid’s Champions League shirt is purple in colour and has the Champions League logo on the right sleeve and a miniature Cup on the left sleeve with the number 9 over it, indicating the number of times Real have won the European Cup. The Real Madrid third shorts, much like the shirt, is purple in colour. 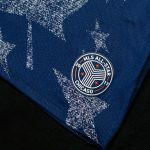 Both the shirt and the shorts have the white Adidas stripes on them. 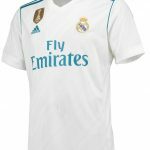 Buy the Real Madrid third kit online at reputed UK merchants Kitbag.com . This entry was posted in Spain La Liga and tagged Real Madrid on September 14, 2010 by Football Kit News.